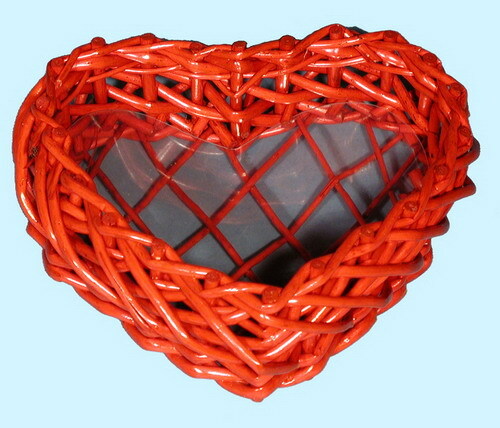 This heart shaped basket is made of willow in random weave. It measures 9" wide, 7.5" back to front, 3" high. The dimensions are outside measurements. It is made of white willow. It is available in all finishes. A hard plastic insert is included to prevent small subjects from falling through the bottom of the basket. This item is available with a handle. Please click item 68441 to view. This basket is also available in a different design but the same size. Please click item 5843S to view.